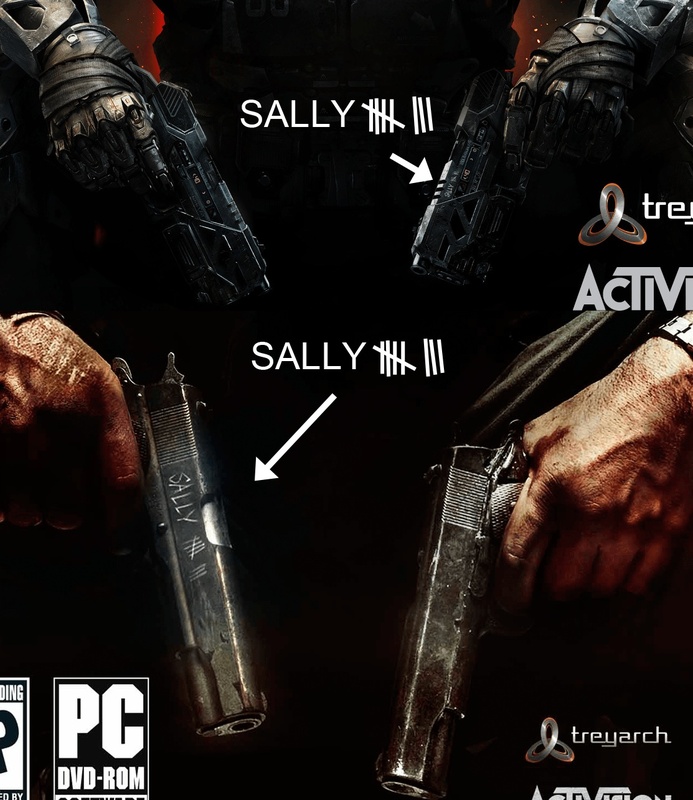 I doubt that, remember, we've seen the Mauser being used here as well, AND the original reveal art for BO3 depicted the mustang and sally futuristic pistols. We know that the starting pistol is the one they are holding, Dalek confirmed it so at least the M1911 is gone. Multiple starting weapons. Like in SOE, that revolver type weapon seen with the IN-game footage (not a cut-scene) looks weak like it could be the starting pistol, then we've seen the mauser in the concept art. Unlocking starting pistols through XP anyone? No. As I said we have a confirmed starting pistol. This was my first thought as well Lenne. On that same note, it doesn't appear that we will being doing much flopping either. By what means do you have proof of this? OR MR. DALEK for that mater? I'm guessing the MR6 (Thankyou Liam) is the basic starting pistol you get at the begining of the game when you have NO XP but after a few games you can unlock other weapons. Liam was the dude who identified the pistol type, but there has been nothing to indicate that this is the starting pistol aside from multiple characters holding it. Now more than likely this is the starting pistol, but confirmed not so much. Well I mean Dalek has the actual gameplay, I don't watch Liam so I don't know but it is pretty obvious that the MR6 is the starting weapon. I don't understand why Liam gets complete trust from everyone but Dalek is in the same situation as Liam and his word holds less truth? I am more interested in "Widow's Wine" tbh. To me the name Widow implies that it comes into effect when your teammates are down / dead. Maybe it gives you an adrenalin boost (more health / speed) depending on how many teammates are down. Getting Cranked in a clutch situation would be nice. Longer then that, 4- WAW, 10-BO1, 15 (not including game mode-maps)-BO2. Also you have a point, I've made a map in "the giant" section about starter pistols lets move away from that here and focus on the new perk. PERSONALLY, I think it'd be cool if the perk worked like the Magnetron from Infection: Not hurting the zombies but creating points that when hit inflict critical damage. -The ability to move across walls like with the wall-running mechanic in MP. -A sort of sticky web to trap zombies. You know in the trailer when they got tentacles? Maybe it is to do with that? See I don't think so, as the whole tentacle thing is really more relative to the 3 headed MONSTER rather than a spider. Plus the fact it shoots electricity points towards it having some sort of involvement with power. I really doubt a perk would make you that OP as well, even if it was just for a short while. They were different tentacles though. Also I think a web being on a window or zombies sounds more accurate. Not a debate of youtube credibility. They collaborate often, just wanted to give credit where it was due. As stated above, there are not confirmed sources. I wouldn't latch onto anything at this stage in the game. Maybe these guns will just become the new Mustang and Sally? The MR6 could just be M1911 reskinned. I hope it's burst fire M&S. I still like the idea of multiple starting weapons, because we do see the mauser being used, and there's a suspicious snub pistol we see in SOE. 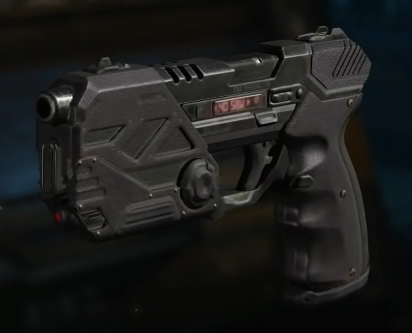 We see the pistol a LOT in the trailer, which is typically a characteristic of a typical starting weapon, but I could just be imagining things. Wouldn't that render a possible NML return useless? Since there would be multiple explosions which would kill you instantly if you are too close to the blast radius? Okay maybe not useless, but terribly slow. Burst fire Mustang and Sally does sound cool on paper though.